[William] - Hi Clay, thanks for taking some time out of your schedule this afternoon to talk with us regarding one of the projects are you are currently working on. Before we get started, can you quickly introduce yourself and your current role within VMware? [Clay] - Good morning and thanks for having me! My name is Clay Alvord, and I am a Senior Prototype Engineer, here at VMware. I work with hardware vendors as they develop new equipment, and get it in the hands of the developers here. It allows our engineers to get early access to pre-release gear, in the hope that as the equipment comes to market, it's on our HCL at the same time. It also allows us to help debug the hardware as its developed, so we don't hit any critical surprises after release. [William] - Thanks Clay, very cool role! So, I hear you have been working closely with a new startup who has built a really interesting design involving VMware & Mac Mini’s? Could you provide us some more details around the design and the type of application/workload the customer has planned for this infrastructure? [Clay] - Thats exactly right. FitStar deals with a lot of high resolution video, so their storage requirements are above average for a company their size. Most of their servers live in Amazon's EC2 cloud, and so they are already heavy users of Amazon's services. Amazon has a product called Amazon Storage Gateway (ASG). ASG allows for local storage to be mirrored to EC2, or have the your most commonly access EC2 files cached locally. What I have designed is a local storage array, with a an Apple Mac Mini running ESXi 5.5 and Amazon's Gateway (local) storage. This gives the users the speed of local storage, with the safety-net of having their data in EC2 at the same time. [William] - How many Mac Mini’s are they currently running on-premises and what hardware configuration did the customer choose for their specific application requirements? Were there any constraints that you had faced due to the limited resources the Mac Mini’s provided? [Clay] - They have 1 Mac Mini, and 1 Dell Poweredge. The Mac was a hard requirement, because the original design required us to run OSX server. We opted for the Mac Mini as it fit the budget better, when compared to a Mac Pro. The Mac Mini is a Late 2012 and has a 3Ghz cpu, with 16GB of ram. Our biggest constraint is the memory in the system. We run 2 storage gateway VM's on the dell. Each one requiring 8GB of memory. We could not have it all on the Mac Mini as the Mini only supports 16GB in total and does not have room for future growth. The Mac Mini has 3 Mac OS X VMs. 2 of them are OS X 10.10, each running OS X Server. One for dedicated Xcode buildbot, and app caching. The other for Time Machine services. The 3rd VM is running Mac OS X 10.9 Server and is purely for file sharing. [William] - How much storage is currently being managed today and how is that presented to the VMs? Do they have plans on increasing either the storage or compute platforms as they grow? [Clay] - The storage array has 2 RAID-6 luns, serving a total of 20TB to the Dell host over iSCSI. The host then breaks up the storage into 1TB disks that are then attached the two ASG VMs. The VMs, mirror the data to Amazon and then present new iSCSI targets to the Mac Mini host. From there we use Raw Device Mappings to attach the file server and backup server. 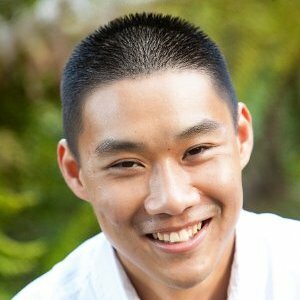 [William] - This looks like a really cool solution that you’ve architected with the customer. For a startup, I was kind of surprised to hear they went with vSphere versus going down an open source route and potentially using some type of Cloud Services? Do you know what the motivation was that lead the customer to choose vSphere and running an on-premise solution? [Clay] - The motivation of going ESXi over an alternative solution had several factors. The first was Fitstar's familiarity with VMware, as well as my own. The second was this solution is the backbone of their company and they needed a world class solution that has not only a strong support system, but a HUGE community behind it. Lastly, it was the hard requirement to use ASG. Using ASG allows for the volumes to be directly mounted in a EC2 instance in case of an emergency. Amazon also states that the ASG vm's are optimized for ESX and Hyper V.
[William] - That is great to hear that even for startups, having an enterprise and highly available platform such as vSphere is critical to their business. Were there any challenges while designing and deploying this infrastructure, either from a deployment or operational point of view? [Clay] - Definitely. This project was originally designed with just file services in mind. The original POC was a local storage array, and the Mac Mini. The Mini would run a ASG and 1 OS X VM. When it was decided that we needed Xcode, Caching and Time Machine services, we opted for a dedicated VM for each of theses. The reason is that if there were issues or heavy load with any of them, it would not affect the others. Some of the other challenges we had was getting iSCSI to play well with Mac OS X. We were planning on having the iSCSI connections go directly to the VMs, and bypass ESXi, but 3rd party drivers don't work with Amazon's version of iSCSI. As a result, we now connect to the hypervisor, and use raw mappings to the VMs. We opted for raw mappings so that if we mount a volume in EC2, it sees a HFS+ disk, not a VMFS one with HFS inside. We also had trouble getting the OS X server services to work on virtualized hardware. ultimately we adjusted the vm parameters to expose the hardware ID's to the vm, and so OS X thinks it running on physical hardware. We are still working on plenty of tweaks to the system. I have seen a OS X panic, and kernel logs point at VMware Tools as the culprit. We have filed a bug for this. We also have an issue that the nics in the Mac Mini are e1000, not e1000e. This occasionally leads to a PSOD. The work around we plan on introducing is Thunderbolt to ethernet adapters. The last ESXi related hurdle is that in order for the VMs on the Mac Mini to auto start, the Dell and AGS VMs must be online, and the Mini has to have already scanned its storage adapters. So in the event of a power outage, when everything powers up, you must rescan storage on the mini, after the Dell is online, then power up the Mini's VM's. We have installed a battery backup unit, and are in the middle of automating the scan and power up of the Mini's VMs. [William] - Clay, thank you very much for taking the time and sharing with us some of the innovative things our customers are doing with Apple and our vSphere platform. I really enjoy hearing about how our customers push our software to its limits and find new use cases that we had never thought about. Thanks again for sharing. Finally, before I let you go, do you have any words of advice or tips for other customers having similar requirements, especially those coming from a Startup? Any particular resources you recommend them checking out before getting started? If you are interested in sharing your story with the community (can be completely anonymous) on how you use VMware and Mac OS X in Production, you can reach out to me here. 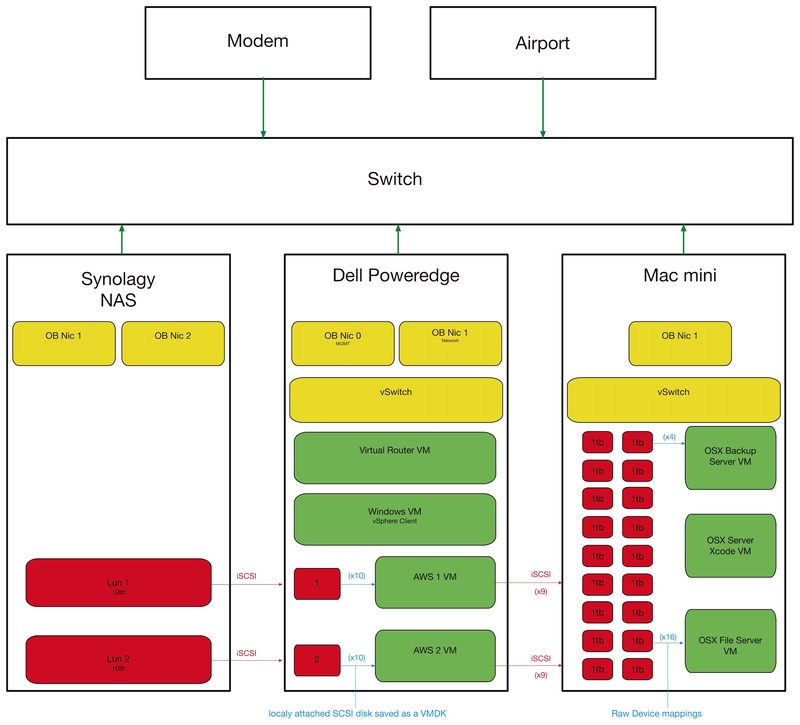 Want to run ESXi on an Apple MacBook Pro, MacBook Air & iMac? #YesYouCan! “Mount the disks on ec2 instance”? Does EC2 now support OSX guests?